← Is 9-9-9 wrong, wrong, wrong ? A New York Times/CBS News poll broke the news this week that Congress’s approval rating is 9%. Coincidentally, 9% is also our national unemployment rate for September and most of October, according to the Bureau of Labor Statistics. The unemployment figure seems almost eerily connected to our do-nothing-for-jobs Congress and their bottom-feeder ratings as they spent this week in session, once again doing nothing for jobs or the economy. It’s like some weird “here is a nine for you too Congress since you won’t recognize and do anything about ours.” Of course, 9% is only the national average jobless rate, some states like Nevada, have a 23% unemployment rate. They did however, pass a really important bill in the House that would issue commemorative coins for Baseball Hall of Fame. Also, just so you don’t get the idea that they can’t accomplish anything at all together in a big way, the commemorative coins issue was passed overwhelmingly. See, when the chips-er coins are down and the issue has nothing to do with Obama or jobs or the economy, Republicans can unite and really make a difference. Remember that old saying about getting out of something what you put into it? 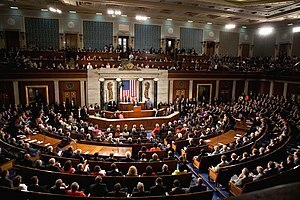 I think our Congress is actually reaping the rewards of what they have, in fact, done for the American people, our jobs and the economic situation. I think 9% is actually pretty high but of course who knows how many friends, relatives, lobbyists, insurance companies, banks, other corporations etc. were included in the poll (oh wait, corporations aren’t people I hope they didn’t get polled). Even though the House is a Republican strong hold right now, many polls are showing that the majority of American people, regardless of party affiliation have made it crystal clear they support President Obama’s Job Act, temporary band-aid or not, because it is at least a plan for doing something for jobs and the economy and they feel he is trying. But, the Republicans are blocking it in Congress and have yet to come up with their own plan other than a big NO because they can’t possibly vote on an Obama plan, even if it will help the American people. Their plan seems to be politics first, people last. I wonder how low their rating can go? Since the Republicans now seem to represent everything the American People hate about the economy, it is only a matter of minutes before they will represent everything the American People hate. When you become a politician for all the wrong reasons and you vote as a block not to help your own constituents and the American People, you will not only end up humiliated by a 9% approval rating but sooner rather than later–no job.